Family – ImpactU: Social, Economic and Political YOU! ImpactU: Social, Economic and Political YOU! Discussing issues that effects you or someone you know. 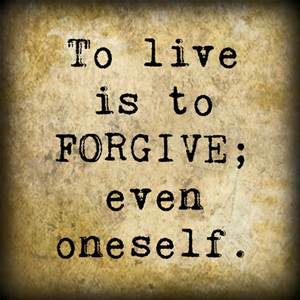 As a wife and mother, you never realize how often you have to forgive yourself. For example, yesterday was the first day of school for our older three. Wait, let me rewind and set the stage. (Que- Black Star Instrumental) Hello, I’m a 35yr old, Brown Skinned Lady, I’ve been married almost 11yrs (Oct. 2005) to my awesomely geeky husband. I have four beautiful, intelligent boys (12, 8, 5, 1). I’m born and raised in the 313. If you would have asked my 17yr old self would I be married with four children by 35, I probably would have said, “yes” with some variations (music fade out). I’m a career mom and an entrepreneur when I have time. Being me isn’t easy. Many people ask me “I don’t know how you do it”? My response, “the Holy Spirit,” like if I was to take an outer body experience and look at myself, I would probably want to commit myself. Like, literally in today’s society, it’s a lot to take on. So back to my original story…. first day of school. I set my alarm the night before for 5:30am. My kids were all in bed. As I set my alarm, I thought to myself, I won’t be there for the first day of school. How does a mother not make it to the first day of school? I mean I’m, a working mother who had a pressing call at 8:30 a.m. The question would be, “couldn’t you have pushed your meeting back? The answer, No. In all my 12yrs of parenting, I have NEVER missed a first day of school. However, that day had come. When I think about it, I think of the words of one of my directors said during a meeting, “It’s not work, life, balance” it’s more like “work, life, compromise”. Well, today was a compromise. A compromise, which I also had to forgive myself after it’s all said and done. I have to forgive myself for being a career mom. I have to forgive myself for actually liking my career and even the times it takes me out of town. I have to forgive myself, for not being there all the time and as attentive as I should. However, I can’t fully say I’m mad at myself though. I am living my best life right now. I’m living the life I’ve always wanted, a home in a historic Detroit neighborhood, working for one of the largest auto companies, I’m well educated and I have four brown boys that keep me alive. Most importantly, I’m married to my best friend and he supports me in everything I do. Can you say WINNING!?!? Forgiving one’s self is cyclical. There will always be something the makes us think you’re not enough and you can always do more/better. The key to all of this is no matter what, this too shall pass. We have to forgive, dust your shoulders off**jay-z** and keep it moving. Because you know what? There is still so much life to live and as for me… I’m going to live my life to the fullest. What type of impact will you leave when you’re gone? Great question! I’d love to think that when I’m gone I’ll have more positive things said than negative. But I still have a lot of work to do. I can’t pass up moments to love on my loved ones, taking for granted that they’ll be there tomorrow. I can’t selfishly hold on to what I can’t use instead of giving it away to those in need. I can’t say one thing and then do another. There are so many things that I need to work on to be better so that I can “maybe” leave a great impact on others. When you talk about leaving an impact, as a mom I automatically think about my little one. If I could mold this place into a perfect world for her. A place where people can know she’s autistic and not act like they’re afraid. A place where she doesn’t get stared at for being herself. A place where…..she’s accepted. I think about the lyrics to the song “If I Could” by Regina Belle, and I don’t know what I thought the song was about when I heard it in the 90’s lol but as a mom those lyrics are on point. 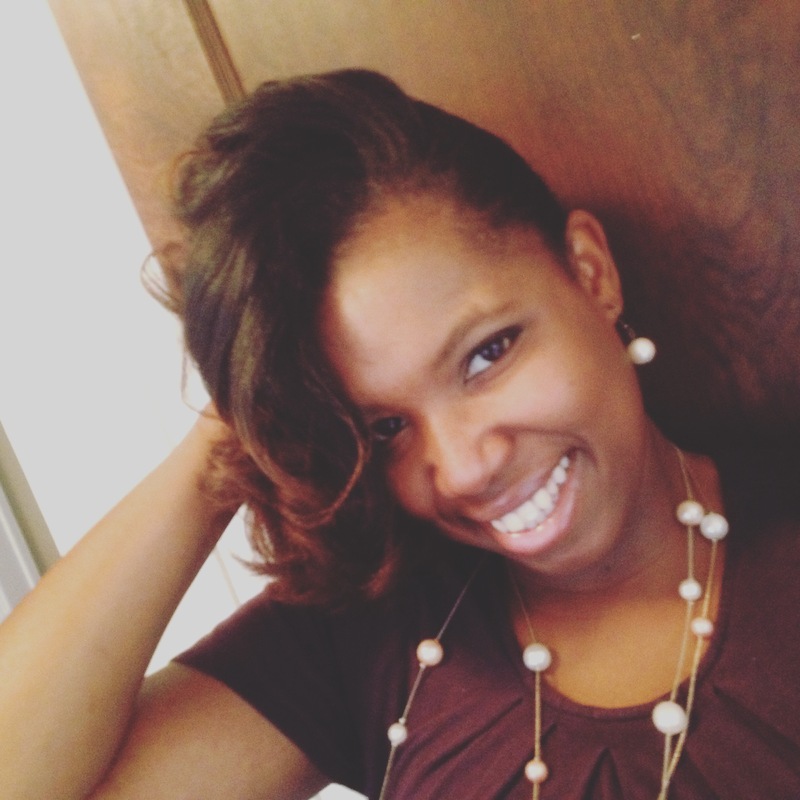 I can’t do it all, but I have to do what I can to make things autism friendly for my child, that goes for church, school, camps, family gatherings….I owe it to her to make that impact. This month’s, the focus will be on boundaries. If you are like me, you may have an issue with it. It’s hard to say no to some people. When doing that, you tend to lose control in some areas of your life. Can you relate to what I am saying? I am currently reading a book called Boundaries by Dr. Henry Cloud and Dr. John Townsend. I highly recommend this book to those who have an issue setting boundaries in their life. Can I set limits and still be a loving person? How do I answer someone who wants my time, love, energy, or money? Why do I feel guilty when I consider setting boundaries? 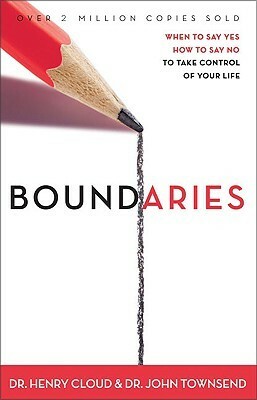 The book discusses three types of boundaries: Physical, Mental and Emotional. Physical boundaries help you to determine who may touch you and under what circumstance. Mental boundaries give you the freedom to have your own thoughts and opinions. Emotional boundaries help you deal with your own emotions and disengage from the harmful, manipulative emotions of others. Does any of this sound familiar? Can you relate to any of this? Do you need help in setting boundaries in your life? Well this book is for you! Can you use a coupon for this? YES! Visit Family Christian website to see what coupon to use, if they have free shipping and so much more! I am currently on a journey to embracing the word “no”. I have so many stories I can share on this topic, I could write my own book! It’s a journey that’s slow, especially when you are dealing with folks close to you. I know, with continued effort, I will soon have boundaries that I won’t regret. You just can’t please everybody, you know? Are you having issues with setting boundaries? What are they? Have you conquered the setting boundaries with family and friends? Share your thoughts and stories with us. We would love to know what’s on your mind. 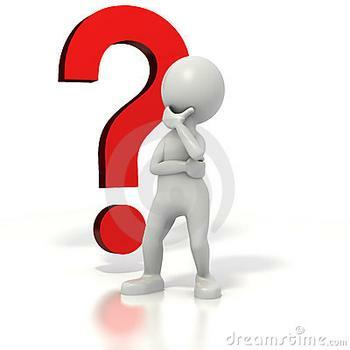 I sometimes wonder, how would it be if I never existed? Weird huh? But, it’ll make you think. Seriously, think about it. I wondered what happened if my mom never met my dad or if my mom decided, dare I say it, abort me! (:o) Reality is, those are valid questions. Am I right? It is what it is. So, now…how would it be if I never existed? Let’s do a run down shall we? I would have missed out on two of the GREATEST parents ever! My brother wouldn’t have a sister like me. My children wouldn’t have ever been born. In my Willie Nelson voice, “To all the men I loved before” wouldn’t have had a chance to love an awesome person like me! Yeah, I am pretty awesome! WOOT! My friends wouldn’t have had a friend like me. My church would have been one less of a fantastic worker! My jobs wouldn’t have progressed as much. My high school alumni association wouldn’t have a hard working board member that kicks behind on every task! Campaigns would have been won! Those who wanted to commit suicide just might have. Those who needed money might not have gotten it when they needed it. Those who needed someone to talk to wouldn’t have had someone at that time. Those who needed a place to stay because they had no where else to go may have been homeless. I wouldn’t be an auntie. I wouldn’t be here to make people laugh when they needed. I wouldn’t be here to console those who needed it. I wouldn’t be typing this. Wow, the list can go on! But because of God’s purpose for my life, He blessed my mom and dad with their first child together and allowed her to be born LaShawnda Denise Wrice. I was daddy’s little girl and mama’s bestfriend and homie, even till this day. As I sit here and type this, tears are building up in my eyes. Why? Because when I look back over my life, I have had some awesome experiences and I continue to have many memorable moments. The moments I cherish the most is with my family. I look forward to seeing my daughters. I can tolerate my brother…. sometimes. LOLOL But I love him to pieces. And I look forward to hanging out with my bestfriend and homie every weekend, my mama! I often wonder how would it have been to have my dad alive, especially now. Man, it would have been some good times and I am sure some not so good, but what life is perfect? He was my bestfriend and what time he was on this earth, he instilled so much in me that to this day, I still tell everyone about my dad. He is still in my heart and I miss so much. All in all, we are all here for a reason and whether you were born with both parents or one, you have a purpose on your life. You are here for a reason. You were born because someone loved you! IF you were adopted, you were so loved, that your mom wanted what was best for you. I know, sounds cliche’, but it’s the truth. Trust me, I know. Love is what got me here. Love is what I give and show daily. Love is what I love to receive. And because of love, I AM HERE! I was sitting on the couch last night, minding my own business. I looked up from my intense game of Angry Birds, and I catch eyes with my husband. 3 seconds later, my husband was next to me. I nuzzled my face into his neck and kissed him all over his face in a very playful way. Back when I was in college, I read somewhere that when you kiss a man all over his face, he feels loved. I’ve been doing this to my husband for years. My husband, for the record, was happy to get up so the kids could get some love from their momma. He is, ummm….not very affectionate. Granted, he has grown leaps and bounds in that department since we started dating 12 years ago. But for the most part, he is who he is – not a cuddler. I, on the other hand, LOVE giving affection, not so good at receiving affection – so we’re a perfect match. My husband and I didn’t always have a great marriage. In fact, you could say that in the beginning, we both thought we were headed for divorce. It was hard for us, the transition from boyfriend/girlfriend to husband/wife. We had never lived with each other before, we were both young (or young by today’s standards – married at 25), and we both had a fierce desire to remain independent. I remember when we “celebrated” our 2nd wedding anniversary. I thought to myself, “Wow, I can’t believe we didn’t divorce before 2 years. Enjoy this anniversary, sister – it’s probably your last with this guy.” And that’s how I felt. I really felt it would be our last wedding anniversary. Then, a little while later, something snapped in me. I realized if I got a divorce, I would be punking out. And I DON’T punk out. I knew if I went through with a divorce, it wouldn’t be fair to him, to me, and to our marriage. After all, we never really gave it a shot. We never worked for it. We just both assumed marriage would just work. And when it didn’t, we both thought one thing – divorce. But that’s not how I was raised, that’s not something I could comprehend. I knew I could do better. I knew I could work harder. I knew I could change. And luckily, he was thinking the same thing. So, we did what most couples don’t do: we worked on our marriage. Crazy concept, eh? Not giving up? Everyday – and I mean every SINGLE day – we worked on our marriage and on ourselves. Before long, it became natural. And not too long after that, I became happy again. And then I realized, “Holy crap. I love my husband.” And what’s even better than loving your husband is respecting him, trusting him, and treating him with the decency and kindness that he deserves. Most newlywed girls/women like to proclaim, “I married my best friend.” Well, I didn’t. I married my boyfriend. Over time, over struggles and sadness and laughter and all that goes along with a marriage – he BECAME my best friend. And that’s such a great feeling to have. I come home everyday to a man that loves me for me, that listens to me, that hugs me, that constantly tells me how wonderful he thinks I am. I’m not perfect by any means. But there is someone in this world who thinks otherwise. And that’s pretty awesome. On January 6th, while he was visiting me in Las Vegas while I was there for work, he surprised me by renewing our vows. And this time, they meant more. This time, I felt the words. I meant every word I uttered back when we got married in 2003. But when I said those words again on January 6th, it was different. We had experience, we had been burned, we had learned what it meant to fight for something we wanted. That day, probably moreso than the day we got married, meant more to me than anything. My kids have a great father who loves their mother very much. And they have a great mother who will never stop kissing their fathers face on the couch.